One of the biggest complaints in cooked, lean protein like "Turkey" is dryness; you can prevent that issue with just a few basic, simple, techniques. One would be; a few days before you start the roasting, "Brine" your birds by placing it in a container large enough to submerge, cover, and hold it. Brining is rather easy, all it is, is a simple salt-sugar and water-stock solution with a few added herbs, peppercorns and aromatics for that special taste that might suit your fancy and family likes! I'll include a brine solution suggestion in the recipe section below. Brining helps with moisture but over brining can lead to a mushy texture. About 4 hours is plenty; overnight is ideal, but more than about 12 hours would be too much! 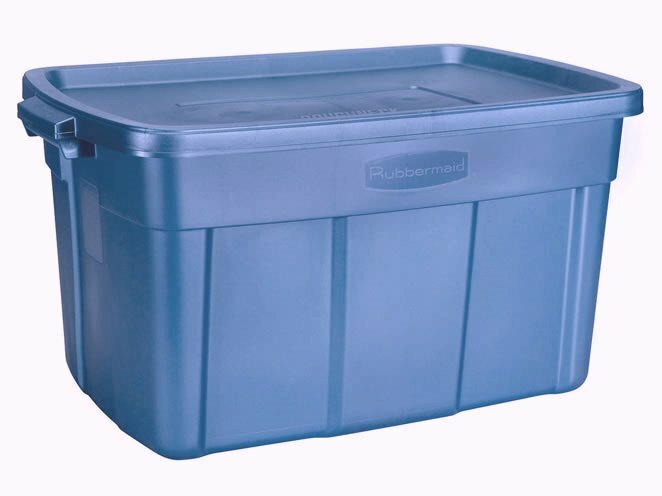 I'll make container finding simple, stop by the hardware store and pick up a new 5 gallon plastic bucket with lid or a plastic "Rubbermaid Tub" if you have a huge prehistoric size bird. It can make life just a bit easier, and it can always find a use later or cleaned up and saved for another good brining like slabs of ribs in July! Be sure to "Sharpie" it with your permanent marker so you don't accidentally use it for a mop bucket or something between now and next time you do a turkey! I have to include these little reminders when I think on paper, because I am the worst at remembering anything and just the one to accidentally end up with say a paint thinner turkey next year from remodeling the bathroom, or using the bucket to bail out the boat when sinking! Again, if you do choose to brine be sure to not "over-brine" which could result in a very salty, mushy turkey (12 hours max is sufficient), turning half way through the process. Then be sure to rinse the bird inside and out and pat dry with paper towels (discard paper towels immediately) before proceeding! This is very important for seasoning adherence and even browning during the cook! CAUTION:! All poultry carries "Salmonella" which is eradicated during the cooking process. While rinsing the bird after brining, be aware of things close by that can be splashed on, cross-contamination, and the sink and surrounding area including the knife, scissors to cut the wrapping off, etcetera, or any utensils used! It only takes a minute to "Clorox Wipe" everything down! It's a must! Another remedy for insuring a moist turkey in addition to or separate from brining is to pat dry your bird with paper towels and oil or butter the bird before roasting then baste every little bit while cooking. Most the time, I will very carefully not to damage the skin, slide my hand between the meat and skin fully around the breast and butter between them with soft, room temperature butter and herbs. This does not replace the outside oiling needed but can add to maximizing flavor phenomenally, especially if you're not having a carving ceremony at the table with your turkey carving specialist and not too worried about the look! This step might take some practice and not crucial to moisture so much, however it does help! The art of it all is covering that skin back over the turkey and keeping it there while roasting. For the sake of culinary perfection I might have seen it all in the kitchen, fixing this one issue of skin replacement. I have seen skewers to unpainted thumbtacks used at times; which just goes to show you, you never really know what's going on behind the scenes. All those hours of preparation to having it all gobbled up in 30 minutes or less; so remember to thank the cook they deserve it! Be sure to season that bird with salt, pepper, herbs and such, inside and out, before roasting, or you will miss your chance for flavor! Herb flavors that compliment turkey would be rosemary, thyme, sage, and garlic(in smaller quantities), however, these herbs having a strong flavor, can be overpowering for a delicate palette so be sure to not over do them. Experimenting with flavor can always be exciting, but no one likes cinnamon turkey, so save that spice for your companies french toast before the "Black Friday" shopping begins. You will need a good breakfast to fight the traffic and crowds alone. I will not be leaving the house that day, nope, not this guy! Be safe out there if your one brave enough to go! Thanksgiving meals are always one of the best to look forward to! I love the traditional fare, but many are turning to heart healthy, lower fat alternatives these days which are also good. We have all become accustom to cutting back and I find it's better for us all in the long run. That piece of pumpkin pie is still good, even if it is a little less sweet! Now we finely have ways and ideas that work fine with food so we don't necessarily have to hold off so much, but can use other ingredients or cooking methods that work just as well. Maybe I'll use a few this year and will be able to skip that nap after the big meal. Well, who am I kidding! I'll probably be the first one asleep! Enjoy! This basic brine recipe is courtesy of "Whole Foods Market" and generally what I have started with a couple times for measuring sake!...it's perfect for proportions! I alternate between different salts like soy sauce or sea salt, and sugars from the brown to honey and always in that mix a little molasses for browning help! Just be aware sugar burns easily and if the turkey is getting dark spot that are way too brown before done, aluminum foil lightly placed over the top of the turkey until its thoroughly cooked is the cure. For aromatics like lemon or orange zest and the herbs such as whole sprigs of rosemary, thyme, some rubbed sage or even a little marjoram works well in smaller quantities; remember the longer the soak the stronger the herb, so a little goes a long way. The same goes for any hard spice like peppercorns, mustard or such! The combinations are endless so it will be left to your imagination! Be creative; sometimes less is better in cooking, you can add more but it's harder to take a flavor back out! Combine salt, sugar, aromatics and 1/2 gallon (8 cups) of water in a large pot and place over medium-high heat. Stir until sugar and salt are dissolved. Bring to a boil, lower heat and simmer for 5 minutes. Remove from heat and allow cooling. Stir in remaining 1/2 gallon water (or water and ice) and cool completely. Pour brine into a container just large enough to hold turkey comfortably. (A 4-5 gallon vessel should be good for a 10-12 pound turkey.) Add turkey; add a little more water or ice to submerge it if necessary. Turn bird a few times and then leave breast-side down in the water; place a heavy plate over the poultry if it floats. Use smoked coarse sea salt in place of the kosher salt. Replace the water with lager beer. Use apple cider, instead of water, Add zest of 1 orange removed in strips with a vegetable peeler, 1 cinnamon stick and 1 teaspoon whole cloves with the aromatics. I can't recall where I ran across this recipe, apparently It's been awhile, I catered with it a few times over 10 years ago best I remember, and changed it up a few times to suit the occasion no doubt. I had lost it, so I found a basic version on Epicurious.com and adapted it for this blog. Mix this salad last minute for best results, well...before it wilts and while it's still lightly crisp! In a jar with a tight lid (like a smaller mason jar) or a dressing shaker, add lemon juice, honey, mustard and a pinch of salt and pepper and olive oil. Shake vigorously until dressing comes together. Set aside. Trim the Brussels sprouts, removing most the hard root end and any outer rough or brown hard edges. Using a mandolin, or box grater with a shaving side, shave each sprout to resemble a fine shredded slaw. Place sprouts in a serving bowl and toss gently with the drained and patted dry onions (see notes). Re-shake the dressing and pour "half" of the dressing over salad (reserving other half of dressing for those who desire more). Fold in the pecorino, Taste for seasoning. Serve immediately! A small amount of chopped garlic, Gorgonzola Crumbles, Ocean Spray Craisens, Crispy Bacon Crumbles, or Lightly Toasted Walnuts or a combination of any as an addition or as a garnish complement on top. If you place the onion slices in a small bowl of cold water for 20 minutes while you prep everything else, it softens the bite and calms the pungent onion flavor, perfect for this salad! Chilling all ingredients before assembly assures freshness! Of course the alcohol bakes off, but the hint of brandy takes this pie to the next level! For years the only Apple Brandy one could find was "Calvados". It's been around since the Nights of the Round Table and King Arthur, I think! If you can not find any, a cheap brandy will work as well. Over the last few years however, apple brandies and apple liquors have made a nice resurgence with many to pick from. Here is also a short list of a few good for cooking with! -> "LINK"
2 1/2 cups all-purpose flour, I use King Arthur flour for most pastry! 4 tablespoons "ice" cold water , plus more if needed! Cut the 2 sticks of butter into 16 pieces, and refrigerate until needed. Place the flour and sugar in a large mixing bowl, whisk to combine and lighten flour. Add the chilled butter. Using a pastry blender or a fork, mash the cold butter into the flour mixture until it resembles coarse meal with small bits of butter visible. Split the dough in half and form 2 discs, cover with plastic wrap and refrigerate for 1 hour. Lightly dust a dry, clean work surface with a little flour. Working one at a time, place a dough disc on the surface, lightly dust with more flour (dust your rolling pin) and roll to form pie crust. (To prevent sticking turn dough a quarter turn after each roll.) Dough should be about a 1/8th of an inch thick! Repeat with 2nd disc! Try and keep your pie crust as cold as possible during the process! Lightly butter your pie plates and form dough into the plate trimming and folding the excess under the rim. At this point you can have a decorative edge by using your imagination! This dough can also be pulse made in a food processor to speed up the endeavor! Note: Never use Gala, Macintosh or Fuji apples for baking or pie they just don't work well! 2 tablespoons cornstarch, this makes your sauce tighter as it bakes! Note:Both the mace and nutmeg can be replaced with an equal amount of allspice. You want the apple mix barely shiny and only slightly wet, use extra flour as needed! Prepare your pie shells in their dishes. Melt the apple jelly in microwave for about 30-45 sec until melted (whisk it smooth!) and brush the inside of your pie shells to prevent a soggy bottom crust. Set aside. Peel, core, and slice apples in quarters, then slice each quarter across in thin slices to resemble about a 1/8 inch thick by 1 inch in length slices each. Continue until all apples are sliced. Place apples slices in larger bowl and toss with lemon juice until thoroughly coated. Add remaining ingredients and toss until all ingredients are evenly distributed and all apple slices are coated. Do not press topping tight against pie filling, a light pat to secure it is good. The Juice has a tendency to have a volcano effect when a Dutch topping is too tight. Just Saying! Place ready to bake pies on a solid baking sheet; cover each pie with a piece of aluminum foil. Allow to cool at least to warm before cutting. Serve with vanilla ice cream or whipped topping and a dash of cinnamon. Don't let the crust get too dark! However, the apples need to be soft cooked in an apple pie, test by inserting a knife into a piece of apple, a smooth easy insert means it's done! I am seriously considering doing more cooking, baking this cold season in place of cutting wood so seeing your resurgence on the blog is appreciated. My family is not ready to rely on my Thanksgiving dinner yet but it is a great time to get turkey on sale, so we will get a few and your recipes WILL be used. I will have to either do it while Debbi is out of the house or ban her from the kitchen since we have different "styles" of cooking. Since cooking is not her preferred pastime, she will probably agree. I would think both your cooking styles and taste are different. My southern roots cooking had to majorly change day one as a culinary apprentice. I was use to having that coffee cup full of bacon grease on the back of the stove and putting a spoon full in almost everything. That had to stop! I would eat almost anything others cook for me though, I find it challenging, however, there are only slight differences in most methods of cooking. There are worlds of different flavors that very from person to person. We all have different taste buds! Thats a good thing to know about cleaning,I didnt know how important that was.I will follow those steps much closer from now on ,Thank you Chef.